It is our number one priority to satisfy our customers. 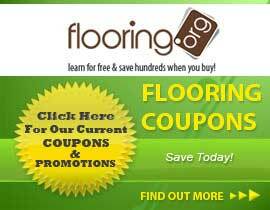 We understand that sometimes plans change, or events come up that may require you to return all or some of a product that you purchased from Flooring.org. This Return Policy is here for you to understand how we handle returns. Returns must be made within 30 days of purchase. All requests to make a return after 30 days of purchase will be denied. No exceptions. No return can be made until you have spoken with a Flooring.org representative and received consent to arrange the return. All returns are subject to a restocking fee of 10 - 25%. The exact restocking fee will be determined at the time of return, and varies depending on the manufacturer and/or vendor the material came from originally. Original shipping costs cannot be refunded, and the customer must pay for and arrange return freight to the address that we will provide when you call us to arrange your return. No returns will be accepted for opened boxes, cartons, bundles, etc... We will ONLY accept returns of material that is still in original manufacturer's packaging without any signs of tampering or damage. No returns will be accepted for special orders, closeouts, custom made material, discontinued items, moldings, trim, adhesives, underlayments, or any other kinds of accessories. If you have recently ordered your new flooring from us, and you have completed your project and have just 2 or 3 boxes of flooring left, we strongly suggest that you keep them. In the event that your flooring product were to be discontinued in the future, it could be impossible for you to obtain more of that product if the event did arise that you needed to make a repair to your new floor.